My Cleaning Products now sells Spider Bully for less. For its Christmas Special, it now offers the product with 20% discount. ...as one of My Cleaning Products organic-based cleaning solutions and pesticide-exempt pest sprays, Spider Bully is therefore, available at a very low price this season. Contrary to what many believe, spider infestation is not limited to just one season. The arachnids could actually invade houses all year round, the reason why a spider spray is needed all the time. However, My Cleaning Products said this holiday is the best time to purchase a spider elimination spray as its own safe and effective product is up for sale. Upholding its tradition of giving great deals on holidays, My Cleaning Products decided to celebrate the coming Christmas with a discount for its clients. It announced that for its Christmas Special, it's giving out 20% off on all of its green cleaning products. 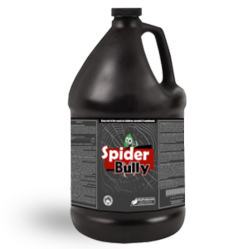 So as one of My Cleaning Products organic-based cleaning solutions and pesticide-exempt pest sprays, Spider Bully is therefore, available at a very low price this season. Although its regular cost is already much cheaper than hiring a cleaning contractor or even lower than that of other ready-to-use spider elimination products, its price as of the moment offers even bigger savings. But that's not all. Apart from the price cut, the company said its Christmas Special also includes free shipping. That basically means Spider Bully shoppers could get the product without having to worry about shipping charges. And that just offers additional savings. Nonetheless, My Cleaning Products cleared that its holiday special is valid only until the midnight of Christmas. And so, it encouraged all home owners, hotel managers and pest-control contractors to get their own Spider Bully before the end of December 25. Apart from that, the green cleaning company also detailed that one could get the free shipping and the mark down only if he or she enters the code “HOLIDAY” at checkout. So, it reminded all Spider Bully buyers to never forget entering the coupon code at the counter to enjoy the truly safe, effective and affordable spider elimination spray.